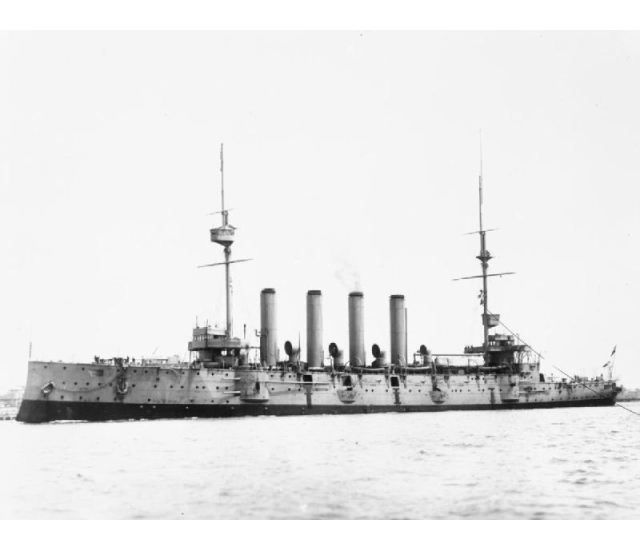 When the HMS Ariadne was sunk in the First World War, East Sussex would provide a final resting place for one of her crew. The HMS Ariadne was a Diadem-Class ‘Protected Cruiser‘. These ships lacked many of the heavier armaments of naval warships at the end of the 19th century but did provide protection for some of their weaponry in the form of fortified casemates (an armoured enclosure for guns on a warship). The Airadne was launched in 1898 but, before the outbreak of war, was converted into a training ship for stokers in 1913. However, by 1917, she had been converted into a minelayer (a warship from which explosive mines are laid) and operated out of Chatham to help defend the south cost. However, on 26 July 1917, she was torpedoed by the German U-Boat UC-65 and sank shortly afterwards with the loss of all hands. The body of an unidentified Royal Marine from the HMS Ariadne was later washed ashore near Winchelsea in East Sussex. 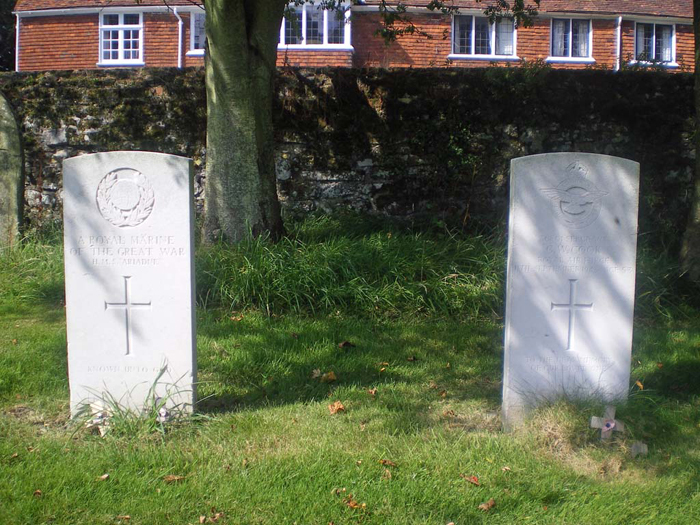 The body was buried in the local cemetery and is marked by a Commonwealth War Graves Headstone.